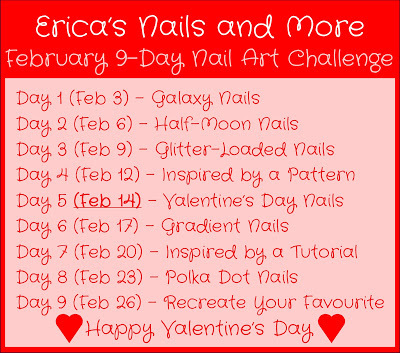 I have been wanting to try this design out for the longest time but never attempted it because my nails were quite stained and this designed required me to show off a whole lot of nail. Since my nails are much better than before I thought this was the best time to pull this look off! I wanted to do somthing different from the pin. Instead of having it all in the same color family I decided to go for contrast! I did this manicure with striping tape instead of regular scotch tape as in the pin but I think it turned out fairly good with this color combination. 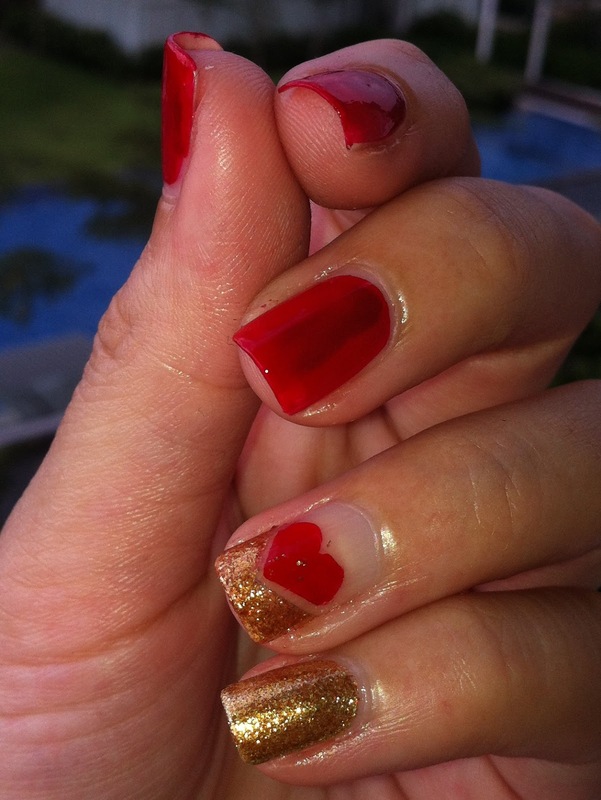 I used OPI Big Apple Red and Goldeneye and topped it off with my quick dry top coat from essence. Bad move! Can you see it in the photo below? Something went funky with my top coat and I got this dark stripe of red on my middle finger. Just the middle finger even though I used the same topcoat on all my nails :S It is apparent in some photos but not others too. LOL. Owh wells, I still like the overall effect very much. 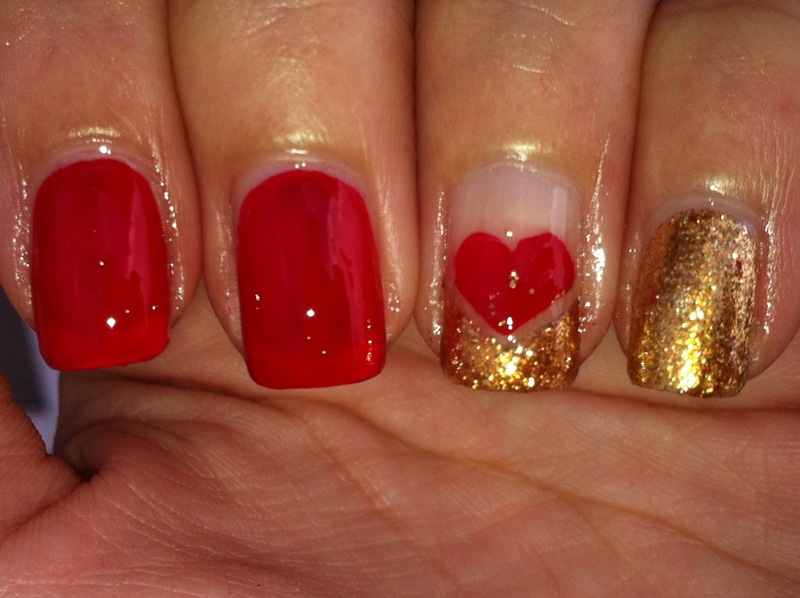 Gold and red is definitely a winning combination in my books! I always pain my nails at night before I head to bed. Most times I start at about 11pm and don’t finished until 1am because of my indecision. Tonight was one of those nights. 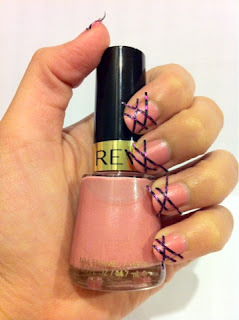 I painted my nails in Revlon’s Opulent Pink and prepped them with striping tape. 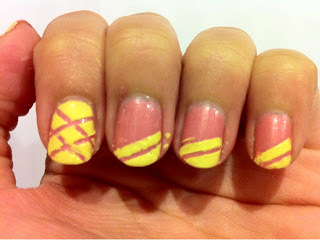 The striping tape I used was kinda different from the one’s I see on other nail blogs. For one, it wasn’t metallic and it wasn’t a solid colour either. It was a black paper base with hot pink stripes going through it. I now think that they look quite unique here. The black-pink tape actually goes very well with this polish. Why oh why wasn’t I aware of this earlier? I should have just snipped the tape to size, applied top coat and jump into bed and sleep. But, noooo, I had to complete what I envisioned! 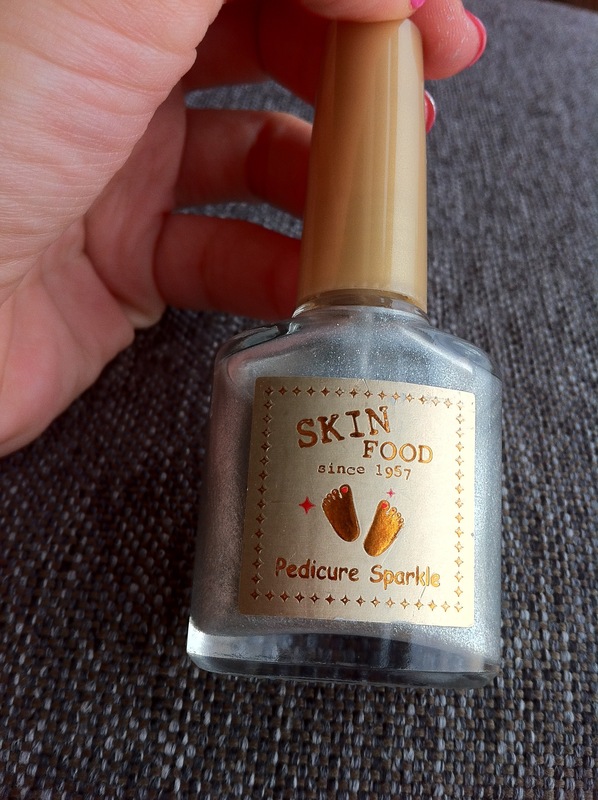 And thus – a really odd manicure was born! 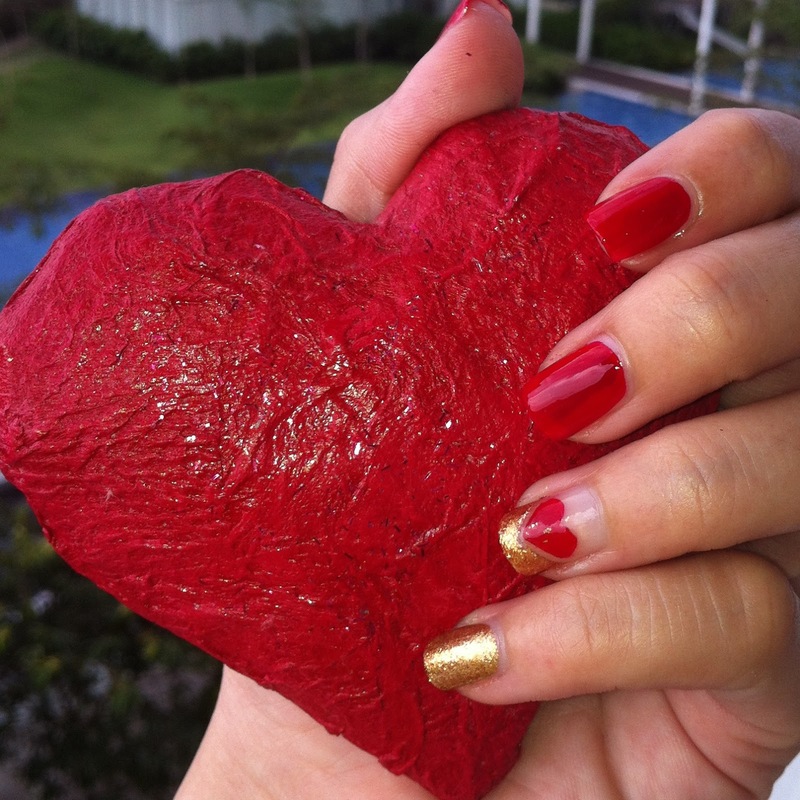 Needless to say I only wore this manicure long enough to take some photos and off they came. 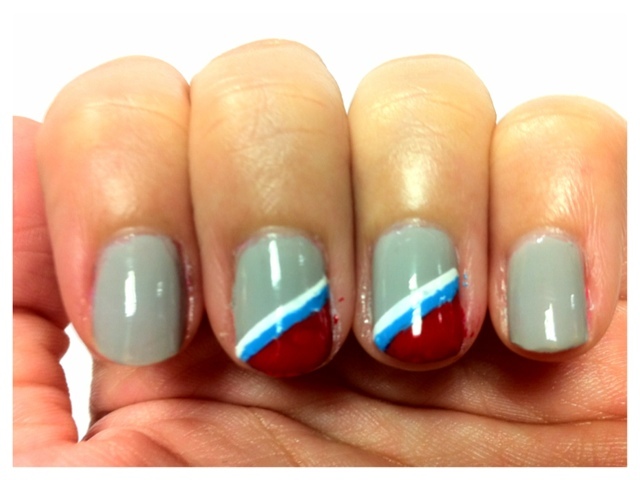 Check back tomorrow for the manicure that I eventually did. I promise it isn’t half as disastrous as this was. I try my best to do the same mani on both my hands but sometimes I just like to switch things up a little. 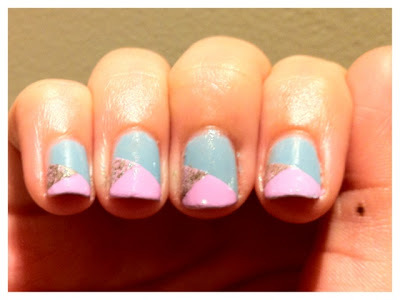 In this case, I decided to move my little glitter triangles around on my right hand. 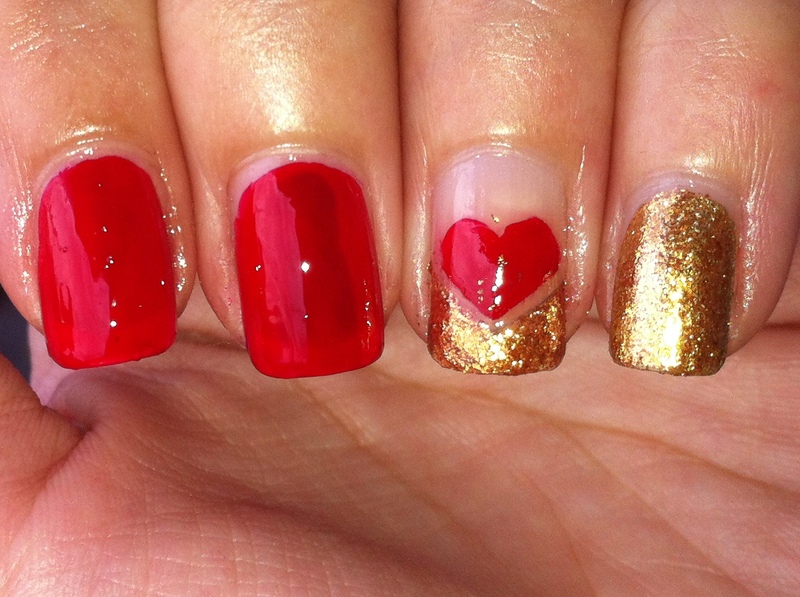 This move made the manicure much more discreet. 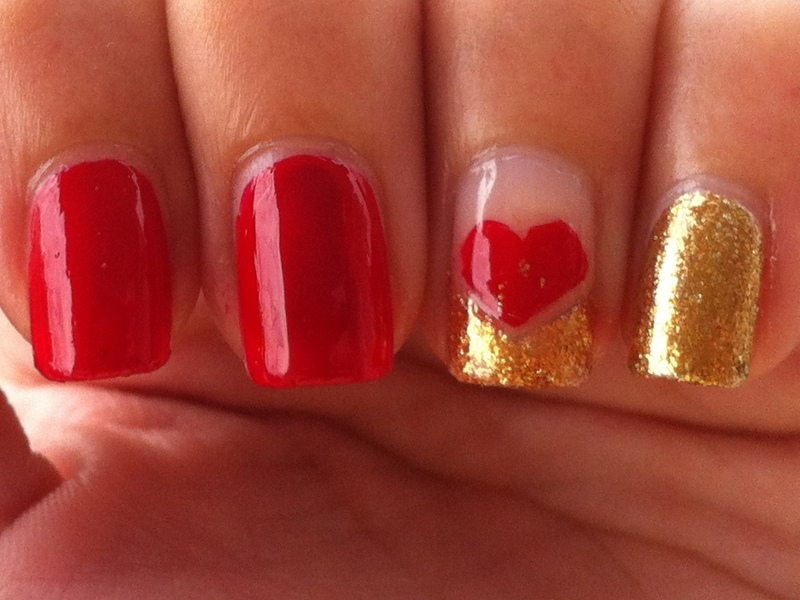 But it does let Twinkle stand out more than it did on my left hand. Happy Fourth of July to the ladies in the US of A! I hope you all already have plans to go somewhere to look at the 4th of July fireworks! I remember when I was in the States last year over 4th of July weekend. My friend and I went up to a golf course/driving range on the hill to look at the fireworks. It definitely was a night to rememeber because the last time I ever saw a fireworks show was at least a good 5 years away! I decided on a tape mani over Zoya Dove that I had on yesterday. I used OPI Alpine Snow, OPI No Room for the Blues and Cult Nails Evil Queen on my tips. I kinda did this really late last night. My lines aren’t as crisp as I’d like them and it seems that NRFTBs have bled slightly into Evil Queen and gave my red tips a slight purple hue. I was looking to do something simple and easy this week for work. Something which is girly enough yet has a little edge to it. 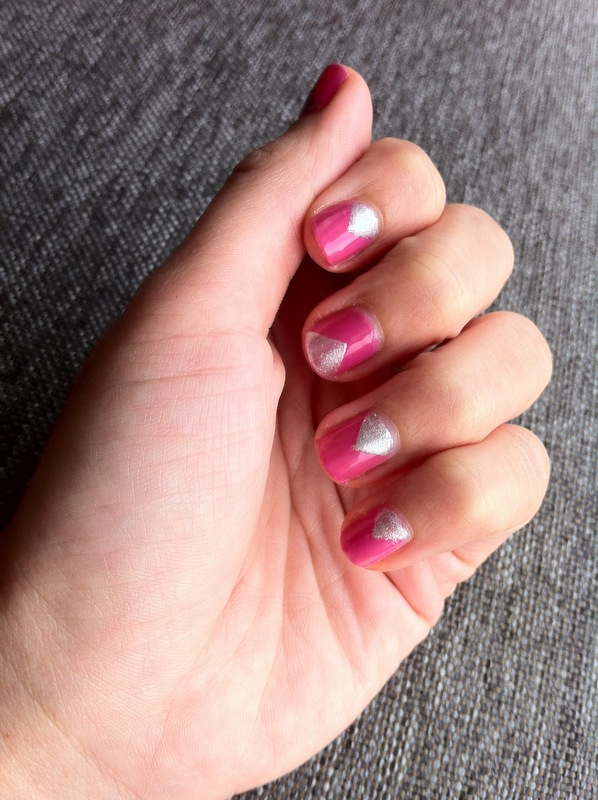 I took some tips from Jane from the Nail Side and decided to sick with a tape mani. 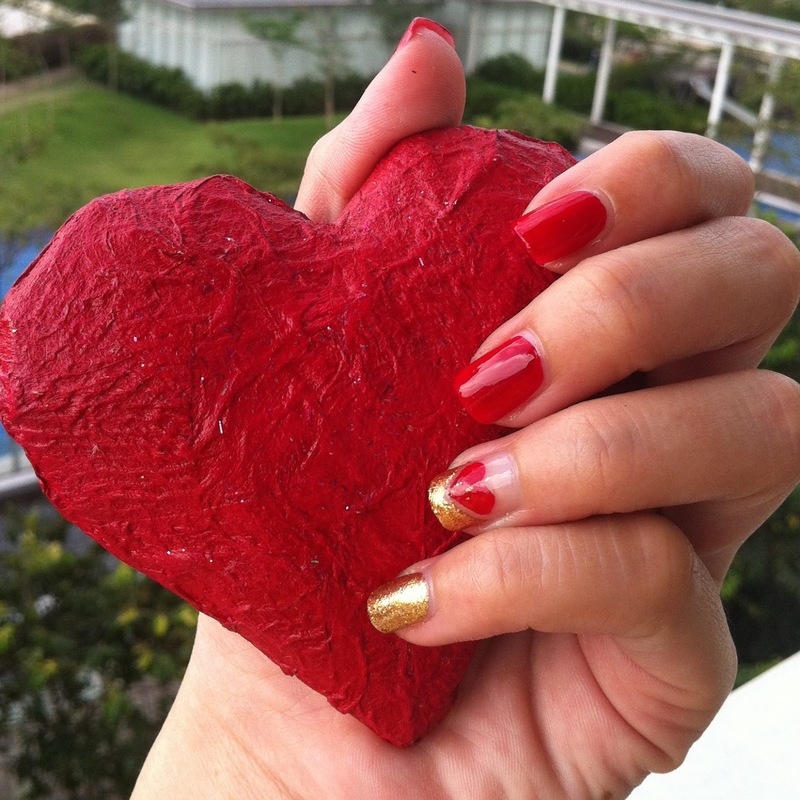 I love Jane’s manis, they always seems really bright and cheery and always have perfect lines! 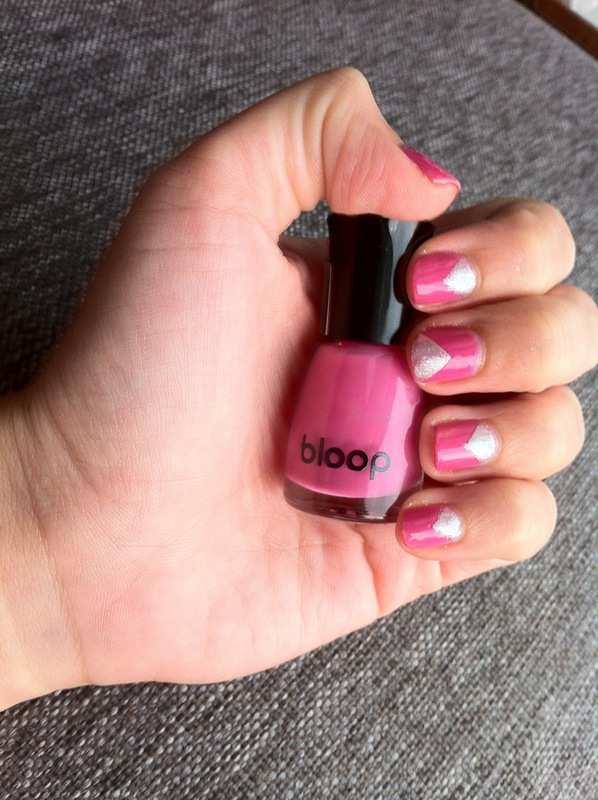 My color combination for this manicure was a light magenta (H110) from Bloop and silver from Skin Food’s Pedicure Sparkle collection.